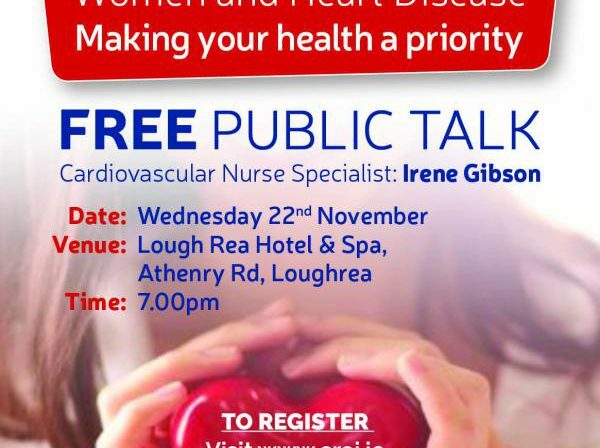 A Woman’s Heart – Free Public Talk in Loughrea. Despite popular belief, Heart Disease is not just a ‘man’s disease’. The typical image of a man over the age of 50 who is overweight, smokes and under stress, is very often what we think of when we talk about heart disease. However, while such a combination of risk factors places a man at high risk of a heart attack or stroke, the fact is that heart disease in women is greater than men once women reach a certain age. To help raise awareness of heart disease in women, Bluebird Care Galway in association with Croí are holding a FREE Public Talk with Cardiovascular Nurse Specialist Irene Gibson on Wednesday November 22nd from 7-9pm in the Loughrea Hotel and Spa, Athenry Road, Loughrea, Co. Galway. Shockingly Irish women are 7 times more likely to die from cardiovascular disease than from breast cancer. ‘Women at Heart’ is an awareness campaign initiated by local heart & stroke charity Croí to educate and empower women to make their heart health a priority. The aim of the Campaign is to highlight the prevalence of heart disease among Irish women and to empower women to make their heart health a priority. “I never thought it could happen to me, I was only 36 years old. My symptoms made me think I had a chest infection, but it turned out I was having a heart attack! I didn’t have any pain down my left arm. I had a feeling best described as an electric shock through my chest but it didn’t alarm me. Turns out, I had two blocked arteries. 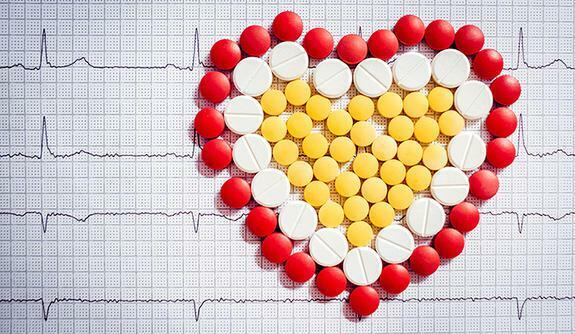 My cardiologist was fantastic and inserted two stents – now I am as right as rain.” Please don’t ignore the signs! – Sandra, Galway. This collaborative public awareness event by Bluebird Care in association with Croí aims to be very informal, interactive and informative. Places for this free talk are limited. Book your place now or call Croí on 091 544310. Posted in NewsLeave a Comment on A Woman’s Heart – Free Public Talk in Loughrea. Mayo Cardiac Support Group will hold its next meeting on Thursday 16th November 2017 from 7-9pm in the TF Royal Hotel, Castlebar, Co. Mayo. This meeting is open to anyone who has heart disease, and their family members/carers. Guest Speaker: John Kelly, Senior Pharmacist, Mayo University Hospital. Admission is free of charge. No booking required. For further information, contact Ailish Houlihan, Croí Nurse on 094-9049172.